This entry was posted in entree, Gluten-free, salad, Uncategorized, Vegan and tagged avocado, fennel, peas, salad, zucchini by Manders. Bookmark the permalink. Great action shot of Lori ;-)! And a yummy salad, too! Thank you so much for participating! Delicious salad, I must say! I’m totally distracted by the fuzzy socks with flip flops, but that salad looks incredibly yummy! LMAO! That picture of you is hilarious! And that salad is a definite winner! Yum da dum dum! Thanks! Flip flops and socks are highly underrated. 🙂 Hope you enjoy the salad! 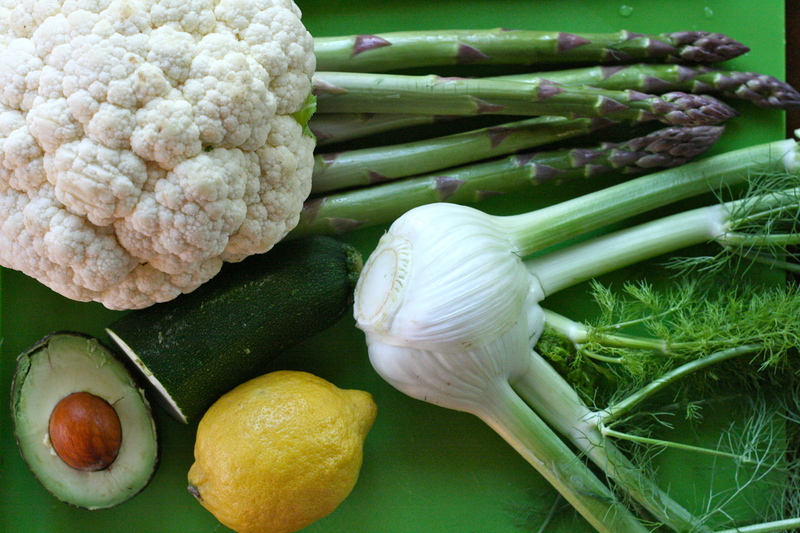 It’s funny how comfy socks, vegetables, and happiness seem to always go together around here. 🙂 Thanks for looking and hope you enjoy it! What a great looking salad. Will have to try this. All ingredients that my husband and I love! Hooray! Hope you guys enjoy! Whoa, that looks like so much goodness packed into one salad. I love it! Thanks, Allison! Hope you like it! 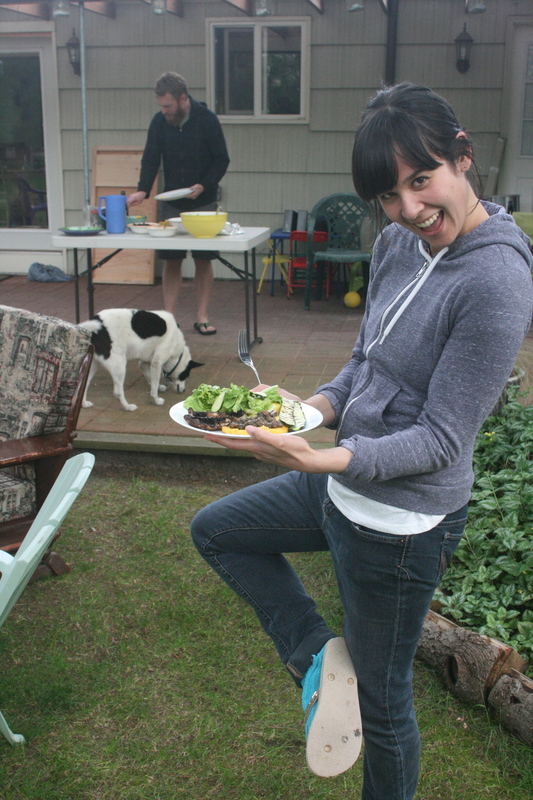 Love that photo of Lori, really shows how delish this salad is!! YUM! Thanks, Brittany! I’m glad the deliciousness came through. Hope you enjoy! Yum. I feel healthier already just from looking at your salad. I am with you with the light dressing so the vegetables shine! Thank goodness for lemons. I seriously don’t know what I would do without them! I know, where would we be without lemons? Probably in a strange world with waaay less flavor. haha Hope you enjoy this! haha I love your blog’s name! Hope you like the salad! Great salad. 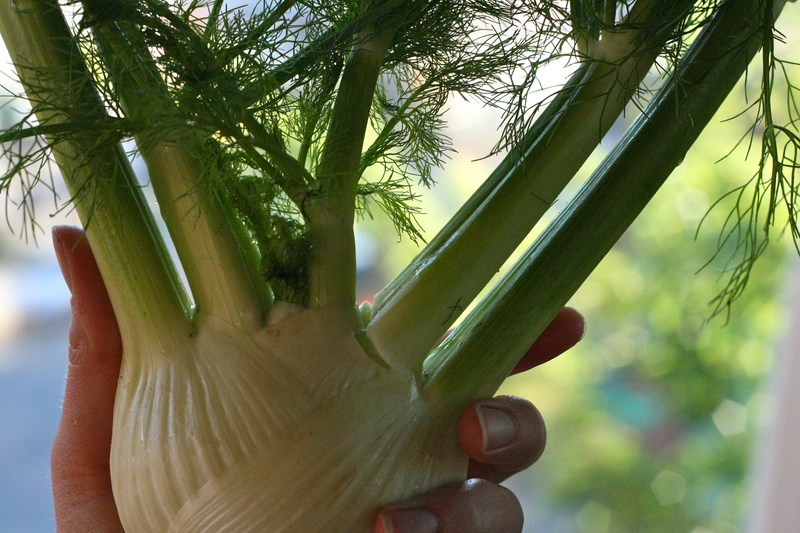 I have never used fennel in a salad (sad huh? 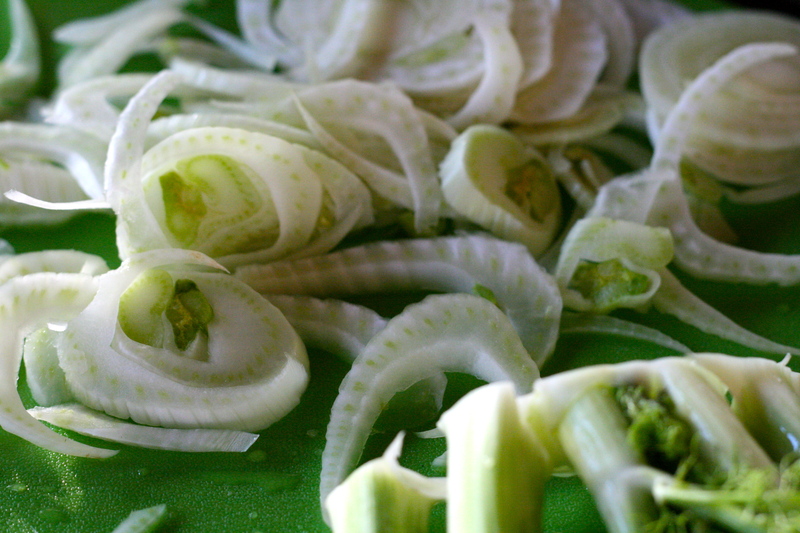 ), but I am definitely going to include THINLY sliced fennel as soon as it is in season again. I like the idea of adding some whole grain mustard as well – one of my favourite dressings. Thanks for the lovely, healthy salad idea. 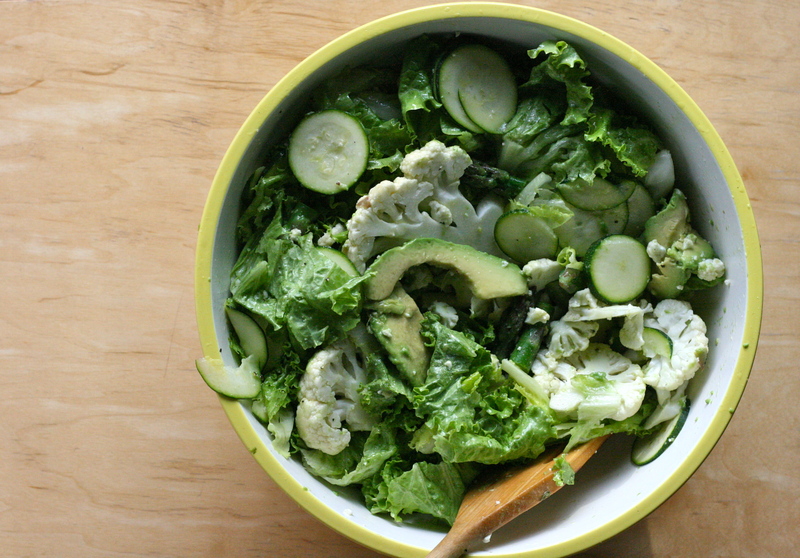 Looks gorgeous – I love fennel salads and I’m crazy for raw zucchini in a salad as well so this is right up my alley. Quite distracted by the odd adds on your site though – one said “sext your way into a museum and call it art”. Slightly off putting! 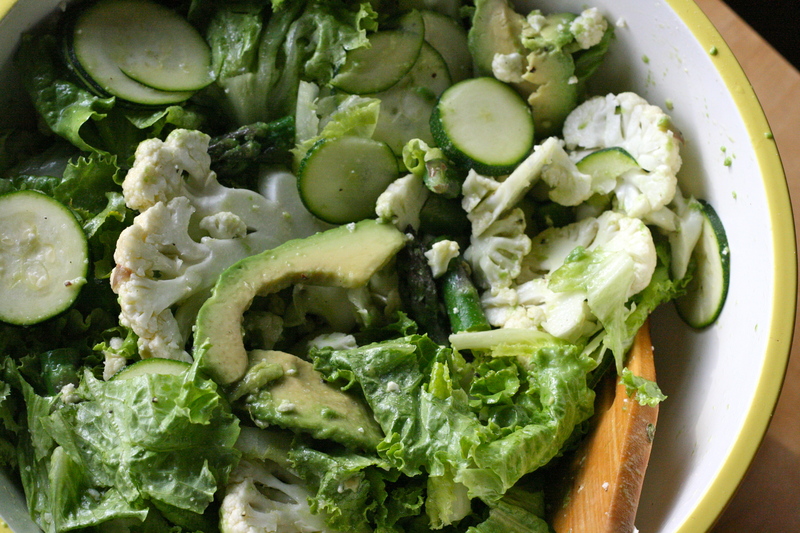 I love this salad though, bookmarked it to try. Oh no! I shouldn’t have any adds on here! Thanks for letting me know! I’ll have to figure out how to get that resolved….. Thanks for stopping by, and please go ahead and send to a screenshot if you don’t mind to yumfortum1@gmail.com. compliicated and extremely broad for me. I’m looking forward for your next post, I’ll try to get the hang off it!